On March 25th, 1954, Frank Sinatra won the Best Supporting Actor Oscar for his roll as Maggio in "From Here to Eternity." On the Sundays bookending the 26th Annual Academy Awards of 1954, Frank was a guest on Bing Crosby's General Electric Radio Program. On this latter program from March 28th, Frank talks and jokes about his experience. 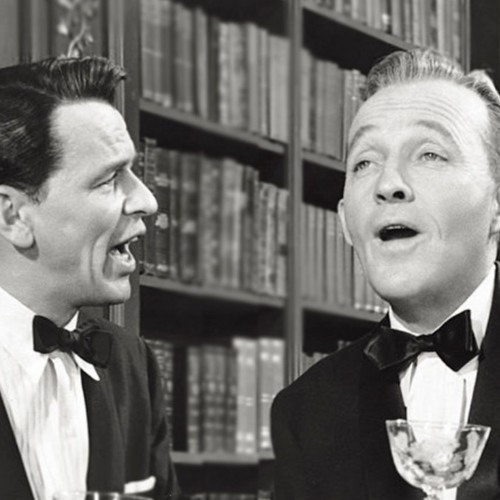 Frank and Bing are both at the heights of their comedic bantering in this episode. The crowd is wild for them. They follow the banter with trio of American Standards in medley: "Till We Meet Again. ""Meet Me Tonight In Dreamland," and "There's a Long, Long Trail," in which both of the men's voices are in rare form. Breaking Walls Episode 85: From Hoboken to Eternity—Frank Sinatra's Radio Career (1935-1955) will be available beginning November 1st, 2018 at TheWallBreakers.com and everywhere you get your podcasts.